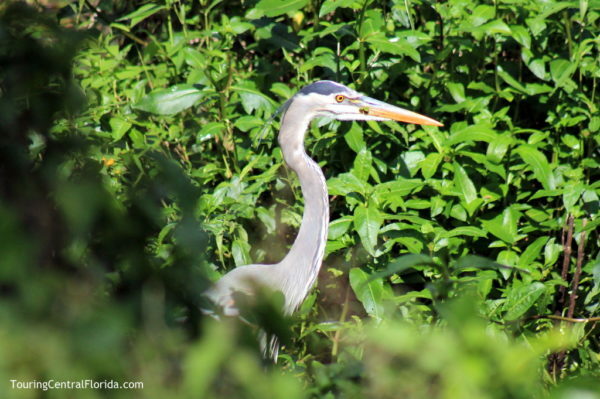 Covering roughly 240 acres along the Hillsborough River and just a mile off exit 266 of Interstate 75, Lettuce Lake Park is easily accessible to locals and visitors alike. 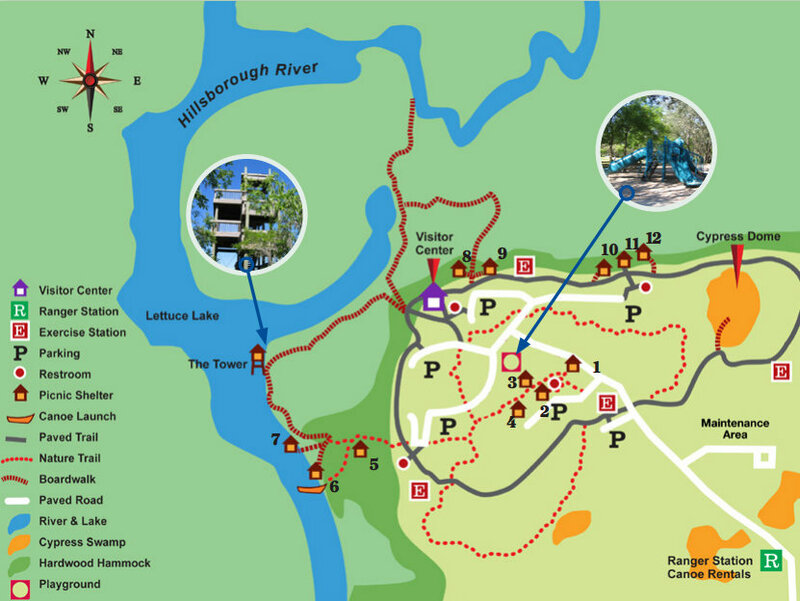 The park features nature trails, a boardwalk, visitor center and many other activities and amenities. 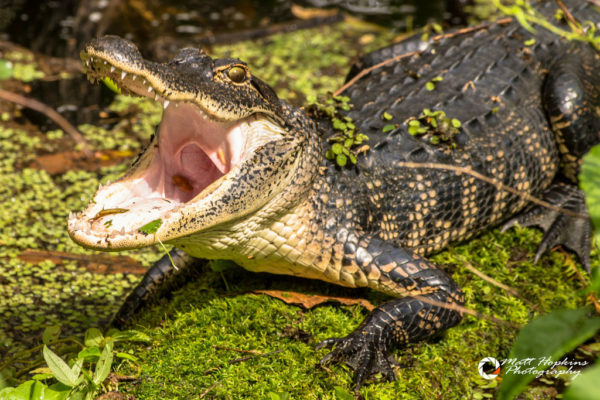 With an entry fee of only $2 per car, it’s a great way to get in touch with nature and not bust the budget while doing so. 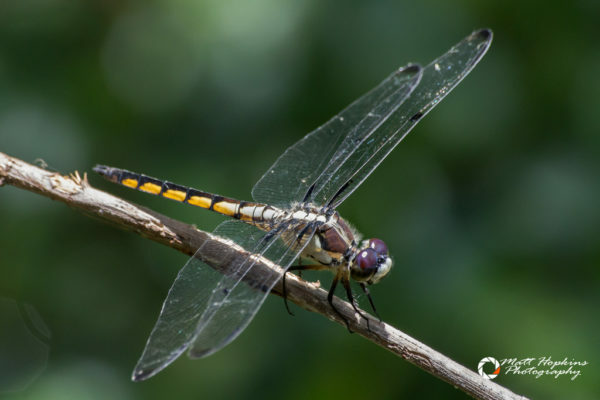 Its low cost is also enticing if you only have an hour or two, which is just enough time to take a stroll along the boardwalk or enjoy a lap or two on the paved trail. 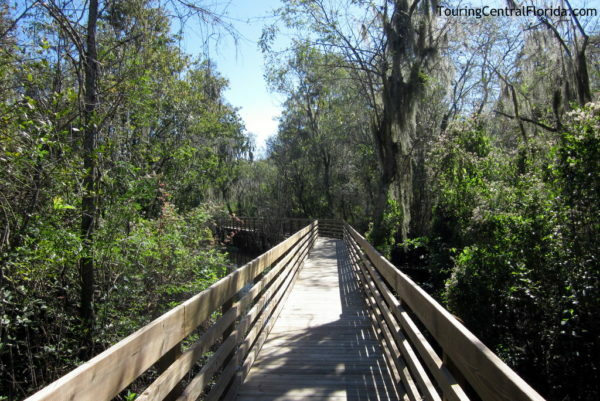 The 3500 foot boardwalk stretches along the edge of the river and lake, as well as traversing though the mixed cypress and hardwood swamp. 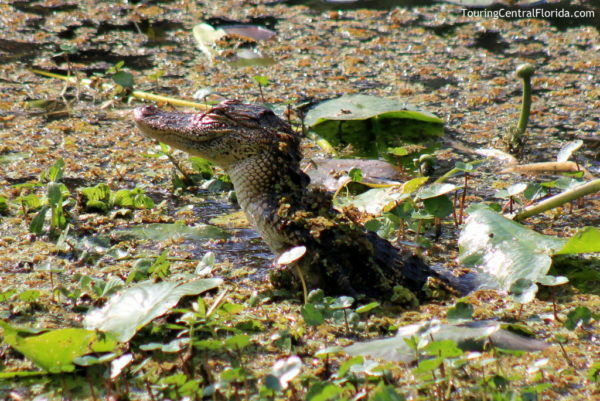 It is not uncommon to see a variety of birds, alligators and turtles while walking along the boardwalk. 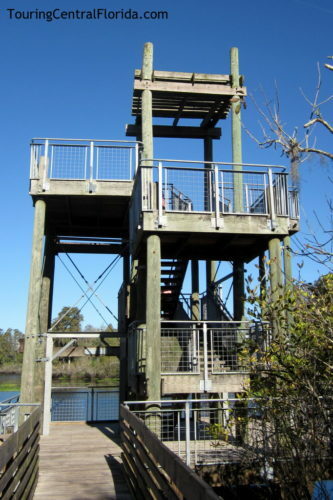 A very popular feature of the boardwalk is the three story tower, which allows visitors a birds eye view of Lettuce Lake. 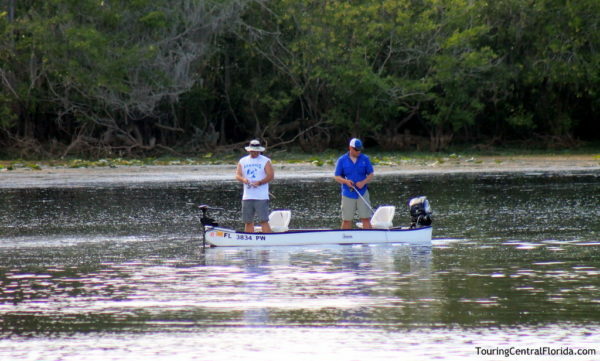 You’ll often see others out enjoying the lake and Hillsborough River in their boat, canoe, or kayak. 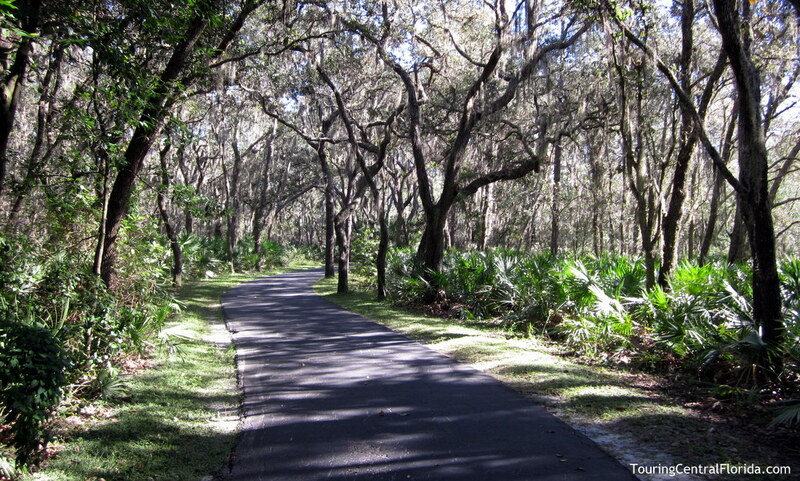 There is also a 1.25 mile paved trail that loops around the park, with easy access from most of the parking areas. The trail is popular with locals who jog and bike here. It traverses through mixed oak and pine flatwoods. 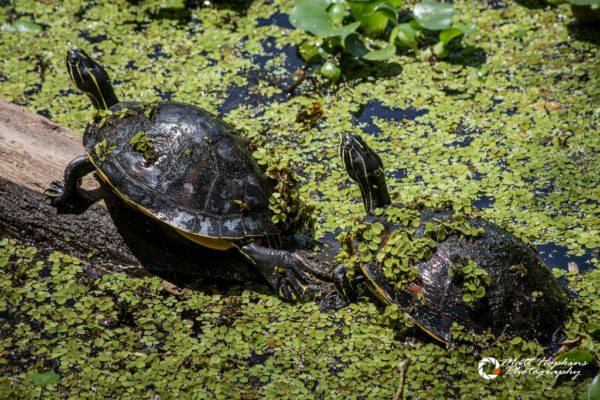 While there usually isn’t as much wildlife visible along the paved trail, we have seen tortoises and small birds on some of our visits. 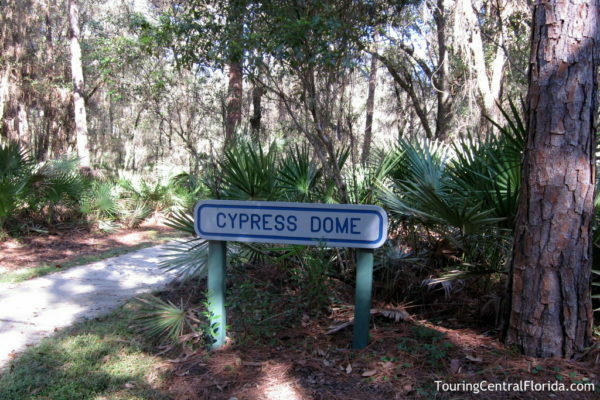 A smaller boardwalk into a cypress dome juts off the paved trail on the east side of the park. This swampy area may look lifeless at first, but pay close attention around the water (when levels are high enough). 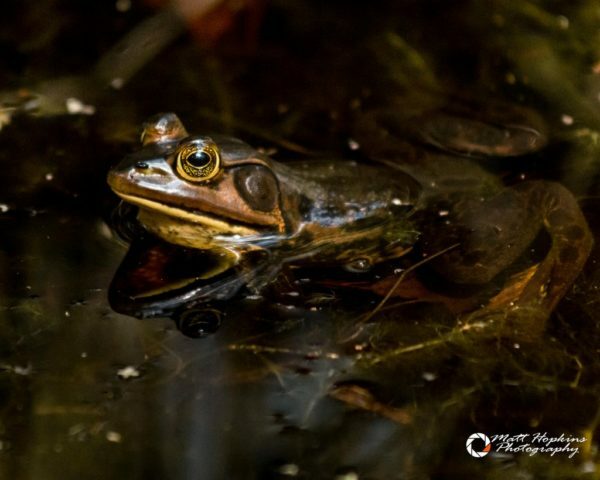 You may see a number of amphibians moving about. 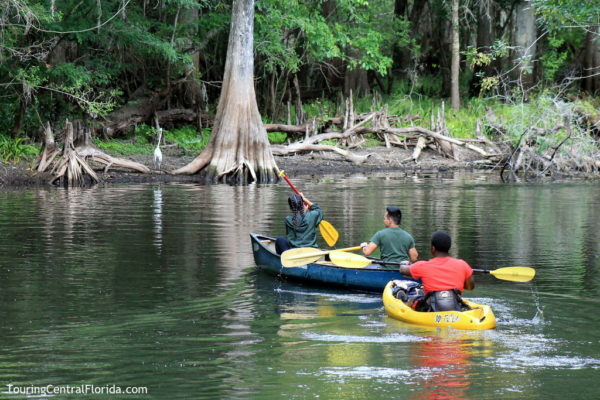 The park also offers rentals of canoes and kayaks, picnic shelter rentals for family and group gatherings, guided nature tours and kid oriented nature programs. Fees apply to most of these activities.